On this week’s show, from 8-9pm we’re joined by Lesley Melling & Joanna McConnell from LinkAble, another great local charity which is based on Board School Road in Maybury. They provide leisure and social activities for people with learning disabilities. We’ll be learning from Lesley & Joanna about their roles there, how they started, and finding out more about the great work they do. 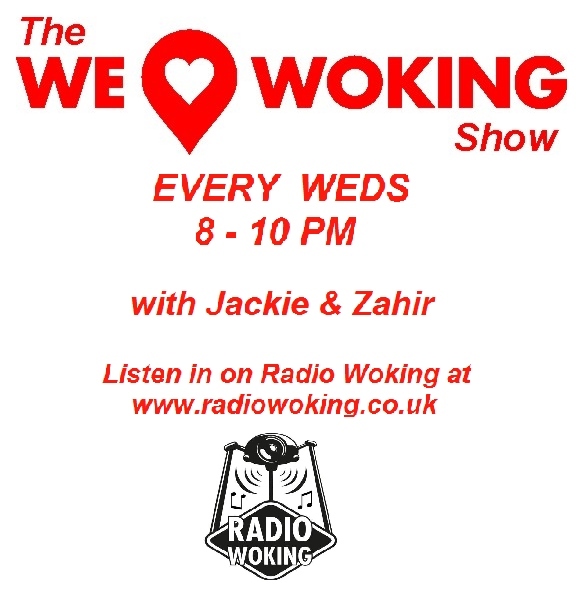 They have also chosen 3 songs which we’ll be talking about and hearing in between our chat, and we’ll also be chatting about things they love about Woking. In the second hour we’ll be talking about the latest happenings & upcoming events from around the area, including Prince Edward’s visit to the recently opened Muslim Peace Garden on Horsell Common, Christmas Light switch on, The Phoenix Centre’s Open Mic, RSPCA and The Lightbox’s Christmas & Craft Fayres, The Young People’s Civic Award Scheme, Knaphill Cricket and loads more! If you have any shout outs, birthdays or special messages that you want read out, or you have any questions for Lesley, you can tweet us during the show using @RadioWoking. Alternatively you can DM us on our social media pages before the show and we will mention it. 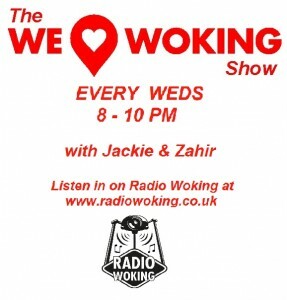 So for some great music and local chat, join us Every Wednesday from 8-10pm here on Radio Woking. Find us on DAB Digital Radio – Search Radio Woking. And you can also download the free RadioPlayer app for All mobiles and tablets too.